*note: at time of publishing I am actually 22 weeks along with this pregnancy. 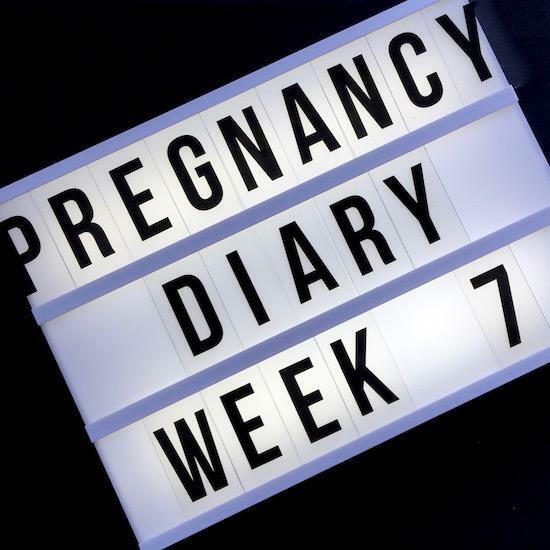 I recorded my early pregnancy diaries with the intention of writing them up later, so forgive the delay. “The sickness has been very bad, though I’m never sick. I have been so, so tired – almost like flu. I’m going to go and have my iron levels checked, I think. Most days I feel as though I can’t get out of bed, which is difficult with a baby to look after. And when I do get out of bed, I can’t stand up straight – I have to sort of hang my head over in shame and immediately find something to eat that’s non-smelly and carb-heavy or just easy to find. Tracker bars, bananas, Mini Milk ice lollies. I’m still paranoid about bleeding and check myself at every loo trip – but if I remember from last time, this didn’t ever stop until about week 37 or 38. That’s a lot of loo trips, a lot of checking. My tummy is pretty fat, but I think that it is just fat. You can’t show at 7.5 weeks, surely? I’ve had to buy a bigger pair of jeans for the shoot I’m going to today – they asked me to bring a selection of black items from my own wardrobe and I had nothing to wear. I went to River Island and bought a cheap pair of black jeans and then found a Michael Kors blouse in TK Maxx that sort of fit the bill… I didn’t want to buy anything expensive as I seem to be expanding by the day. I’m worried about my job today – it’s really important, a big job, and I don’t want to stand there feeling ill. I have loads of snacks in my bag to keep me going and I only feel sick if I think about it, so hopefully nervous energy will get me through.